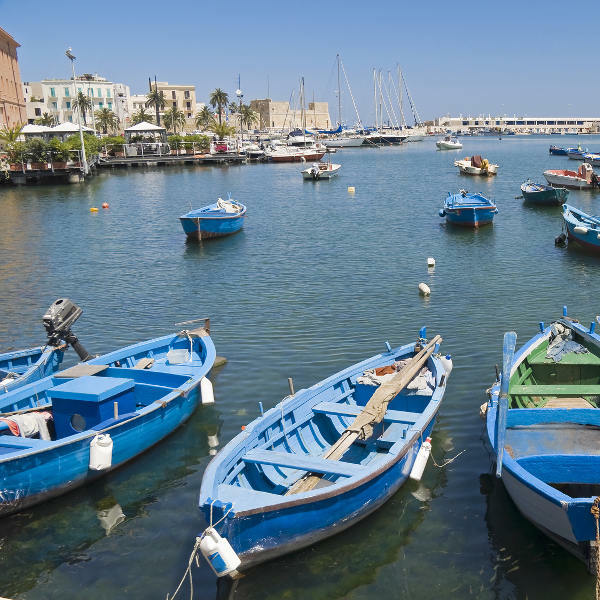 Bari is an alluring port city in Italy, with a population of over 300,000 residents. The capital of the Puglia region offers you its historic architecture, lively art scene and beautiful beaches. 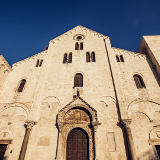 Discover all the sights and sounds that make Bari a wonderful tourist destination. The city’s top attractions include Swabian Castle, Acquapark and Teatro Margherita. Get ready to experience this lovely city, because cheap flights to Bari are now available for a limited period! This destination is served by the Bari Karol Wojtyła Airport (BRI), which is a 30-minute drive from the Bari’s city centre. Bari boasts a superb collection of beaches, where you can soak up the sun and enjoy breath-taking views of the ocean. Bari, being an Italian city, is rich in history. Discover all the architecture that dates back nearly a thousand years! This coastal destination includes everything that makes a memorable holiday for the whole family: gorgeous sights and fun activities. Treat your loved ones to a fantastic time in Bari! Bari is a popular destination in the summer (June – August), with daily temperatures of around 26°C and every attraction open for longer periods of time. 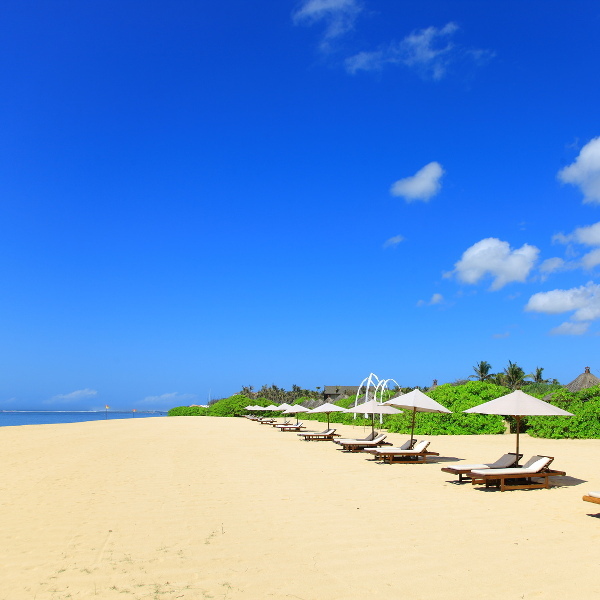 This is the high season and one you should avoid as hotel rates will be higher, there will be crowds of tourists and you will struggle to find accommodation unless you book well in advance. The low season in Bari is during the winter (December – February). While this period boasts temperatures below 15°C and brings an increase in the volume of rain, availability will rise and hotel costs will drop. The spring (March – May) and autumn (September – November) are also ideal times to visit, with moderate to cool weather, plenty of availability and affordable accommodation rates, since there is no influx of tourists during these seasons. 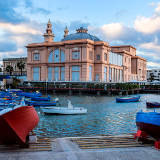 Bari is a lovely coastal city in Italy and a famous tourist destination, boasting historic architecture, a vibrant art scene, gorgeous beaches and a bustling town centre. Some streets in Bari run along the sea, refreshing you with the ocean air and inspiring you with stunning views. 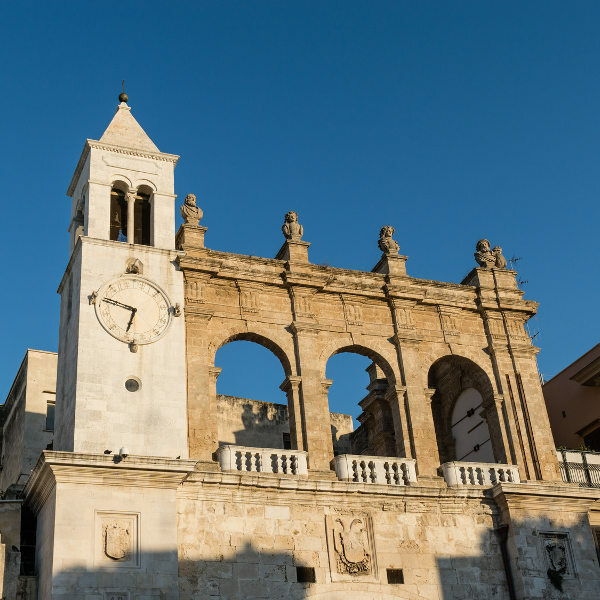 Discover all the historical landmarks in Bari, including the Swabian Castle, the Bari Cathedral, and the magnificent Basilica di San Nicola, which was founded in 1087. Take a tour through the city with Velo Service, which will tell you all about the region, the people and the culture. Enjoy a tasty dish or shop around at the Piazza del Ferrarese, where you can also mingle with the locals. Those seeking fun will find it at the Acquapark, which includes thrilling waterslides, cafés and many other fun family activities. Compare several airlines and book your cheap flights to Bari online at Travelstart! Make sure to visit your doctor four to six weeks before leaving for Italy to get all the routine vaccinations. Other diseases that you should be aware of include hepatitis A, hepatitis B, and rabies. Major crime is not a severe problem in Bari; however, pickpocketing is, as this is the case anywhere around the world. 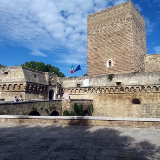 One of the main spots to avoid is the neighbourhood of Bari Vecchia. While it is beautiful, its narrow crowded streets, filled with tourists, make it a hotspot for pickpocketing. A large selection of hotels, bed and breakfast rentals, and hostels are available around Bari, with a large concentration close to the city’s coast. Many of these establishments include free breakfast, free Wi-Fi, pools, spas, restaurants, bars and more. The cost of staying at one of these places ranges from around € 20 to € 150. The most popular options include Hi Hotel, Hotel Imago, B&B La Muraglia, and Grande Albergo delle Nazioni. An entire network of buses are available to get you around Bari. A ticket costs € 1, although you will pay € 1,50 if you purchase a ticket when boarding.